Want to become a volunteer for Heather's Voice events? He/she seems socially isolated from everyone else, sad all of the time, and emotionally broken down. He/she has physical injuries or bruises that he/she can't explain. He/she makes excuses or apologies for his/her partner's behavior. He/she has had unusual changes in personality and appearance since he/she started dating the other person. He/she always seems worried about upsetting his/her dating partner. Visit SeeItAndStopIt.org to learn more about how to recognize dating violence. Below is a list of tips on how you can help someone who may be in an abusive relationship. Talk with them to find out more about his/her situtation. Be a good listener and keep your conversation confidential. Supply them with a list of helplines and resources. Encourage them to make their own decisions. Help them put together a safety plan. Know your limits. Remember that confrontations with the abuser could potentially put you and/or your friend in danger. Visit BreakTheCycle.org and empower yourself to end domestic violence. 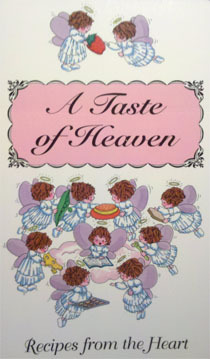 A Taste of Heaven is a cookbook filled with recipes from Heather's family and friends. Buy a wristband! Show your support for Heather's Voice. Make a Donation. Heather's Voice is a non-profit organization that is fighting against domestic violence. Every dollar you donate goes to educational resources for raising awareness among teens.